Are you just getting started with eBay selling? Do you want to learn some tips and tricks from seasoned sellers? So You Wanna Sell On eBay Podcast is a great resource for eBay seller insight. The creators of MyCostPro were featured in a podcast on So You Wanna Sell On eBay after one of the hosts took notice of the product. They thought MyCostPro would be a helpful time-saver for all eBay sellers, so they asked us to come on the show and share some product details and general eBay selling tips. Listen to the podcast or just check out the detailed show notes here. Do you use and love MyCostPro but still want help come tax season? Getting help from a CPA that has experience with small businesses and online sellers can remove all the hassle from tax season. If you collect your sales data throughout the year in MyCostPro and pass that information along to someone like Mark at not your dad’s CPA, you won’t have to lift a finger to be sure that your business is on the same page with the IRS! 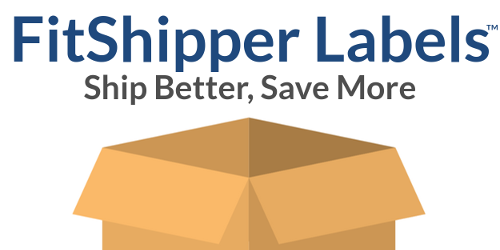 Print shipping labels and access the lowest USPS Priority rates possible with cubic rate Priority − up to 70% lower than the best commercial rates offered by most shipping label services including Stamps.com, Paypal and eBay labels.